For sale is the 1953 edition of the Irasburg 15-minute map. This map would be ideal for framing or display, historical reference or research, genealogy studies, adding to your collection, treasure hunting, a nice conversation piece, a gift for a history or map enthusiast, or for anyone interested in this area. Maps of this vintage are printed on durable stock and are well-suited for outdoor activities and recreation of all kinds. This sheet includes the first survey done by the United States Geological Survey for the Irasburg 15-minute quadrangle. The map sheet is an original 1971 USGS print in very good condition. The Irasburg 15-minute map shows all roads, paths, towns, railroads, rivers, creeks, elevation contour lines, public land survey lines, county, state, and other administrative boundaries as they existed at the time of the survey in 1923. A reddish tint may be used on this sheet to indicate urban areas where only landmark buildings will be shown. 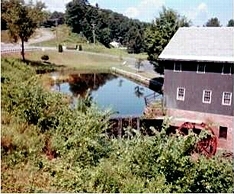 Outside of those areas, all known structures (houses, churches, schools, barns, cabins, etc) are shown. The Irasburg map was surveyed before aerial photography methods were widely used in map data gathering. It was drawn by Geological Survey cartographers based on plane table field survey information as well as information gathered from local residents in the area. It displays the remarkable abilities of the early USGS map makers, who placed a strong emphasis on creating complete, accurate, and cartographically appealing maps. Maps from the 15-minute series for the continental United States are no longer produced or printed by the USGS and original prints are becoming increasingly difficult to find. They are a valuable historical record for an area, as they contain many placenames and features that have been dropped from more recent maps. Populated Places: South Newport, Coventry, Irasburg, Jay, Lowell, Newport Center, North Troy, Troy, and Westfield. Post Offices: Coventry Post Office and North Troy Post Office. Locations: Summit Siding, Lowell Plain, and Mill Brook Campground. Administrative Boundaries: Town of Irasburg, Town of Jay, Town of Lowell, Town of Newport, Town of Troy, and Town of Westfield. Mountain Ranges: Lowell Mountains. Mountains, Peaks, and Summits: Stony Hill, Allen Hill, Black Hill, Browns Ledges, Burton Hill, Chamberlain Hill, Cleveland Hill, Coburn Hill, Farman Hill, Gilpin Mountain, Leland Hill, Round Hill, and Warner Hill. Parks: Irasburg Square. Drainages: Snider Brook, Stony Brook, Allen Brook, Ace Brook, Beetle Brook, Brighton Brook, Burgess Branch, Buybee Brook, Coburn Brook, Crook Brook, Dunn Brook, East Branch Missisquoi River, Jay Branch, Le Clair Brook, Lilly Branch, Lords Creek, Mill Brook, Mineral Spring Brook, Taft Brook, Tamarack Brook, Truland Brook, and Ware Brook. Churches: Federated Church, Federated Protestant Church, Grace Brethren Church, and United Church of Irasburg. Forests: Lowell Municipal Forest and Westfield Municipal Forest. Dams: Bakers Falls Dam. Buildings: Leach Public Library and William H and Lucy F Rand Memorial Library. 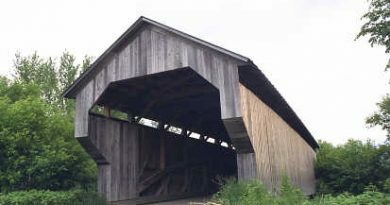 Bridges: Orne Covered Bridge and River Road Covered Bridge. Reservoirs and Tanks: Sargent Pond, Smith Pond, Griggs Pond, Kidder Pond, McAllister Pond, Phillips Pond, Potters Pond, and Walker Pond. Waterfalls: Big Falls. Schools: Brighton School, Brown School, Burington School, Burton Hill School, Coventry Village School, Farrar School, Hitchcock School, Irasburg Village School, Jay-Westfield Joint School, Lowell School, Newport Town School, Troy Elementary School, and West Hill School. SHIPPING AND RETURNS	This map sheet will be carefully rolled in a sturdy tube and shipped via the US Postal Service. Shipping and handling costs are included in the purchase price.If you find that the sheet you receive is not as described in the listing, you may ship it back to us for a refund of the purchase price.